I’m not generally much of a rearranger unless a space in our home really isn’t working anymore. This was the case with my home office/studio. This is a small space (about 100 square feet). It served as a sewing room, computer room, ceramics room and craft room. There wasn’t enough room for all that. So I boxed up the sewing supplies. 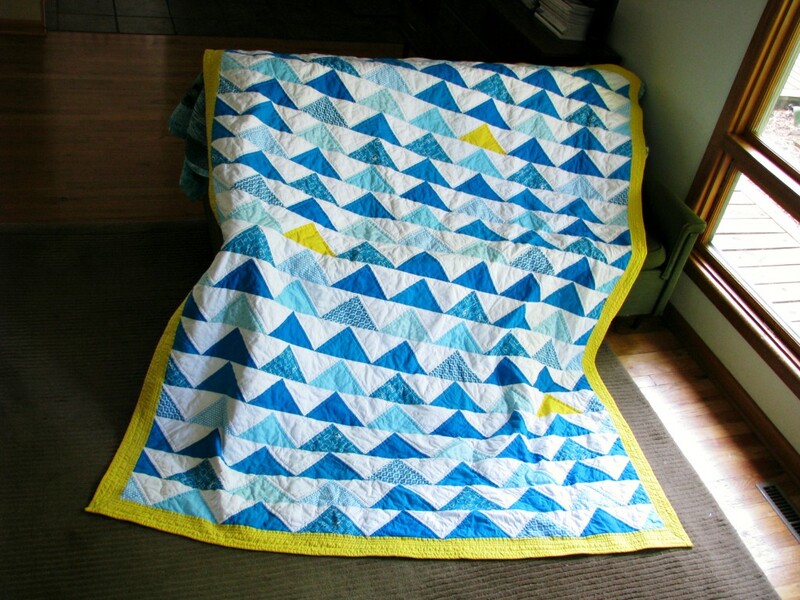 I don’t sew as much as I used to, but I don’t plan on quitting altogether. So I tried to organize my fabric and notions in a way that will make it easy for me to get to them when I want them. 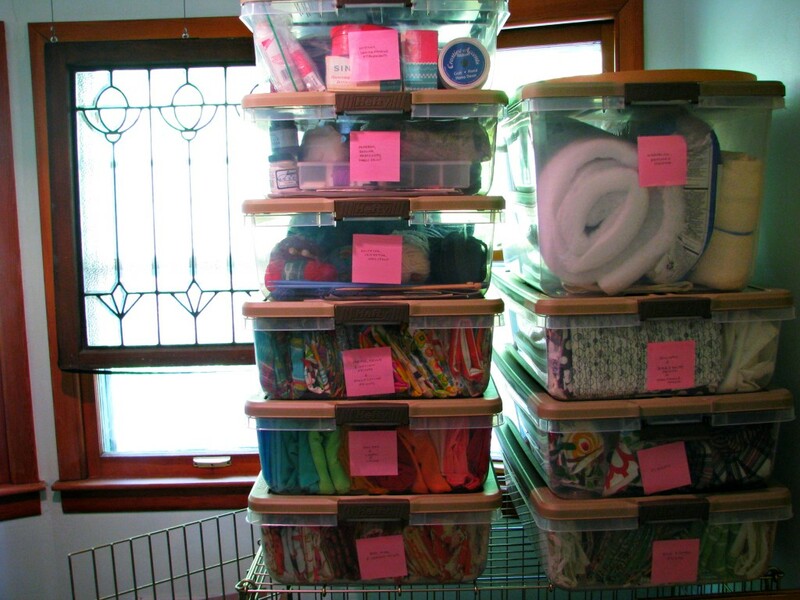 For me, this meant lots of small, transparent, organized bins — no digging through giant boxes. 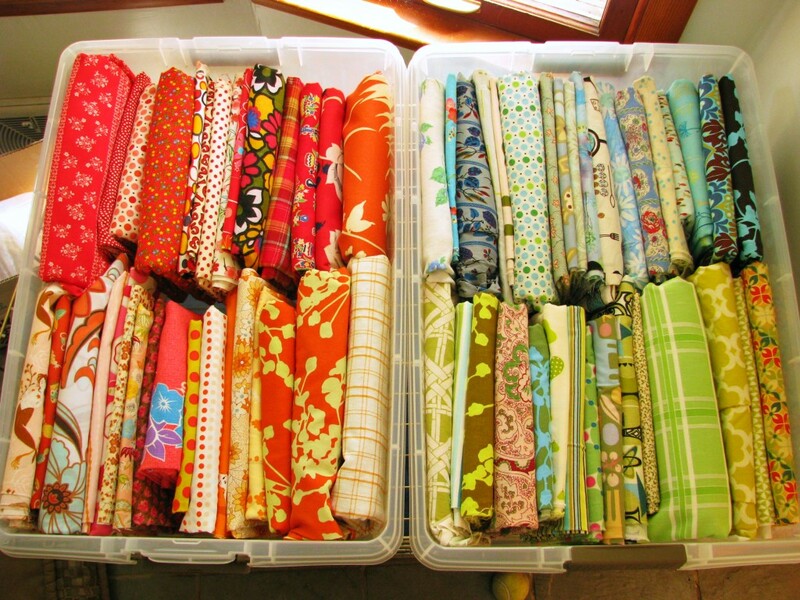 Yes, I know you are supposed to protect your fabric from light, but if I used opaque bins, I’d forget about the stuff and I may as well just donate the whole lot. Here is the whole of my sewing/knitting/crocheting/beading/embroidering supplies, minus the sewing machine, thread rack and handwork basket. I have no idea where these are going, but they can’t stay here. Oh, and that dog crate is going, too. And here is how the studio looks at the moment. You know those number puzzles where you shuffle the little tiles around? That’s what it feels like I have been doing all week: shuffling piles. Everything is getting rearranged. My wheel will no longer be next to a window, requiring me to wipe all the nooks and crannies of the woodwork every time I throw pots! And I’ll no longer be standing between my light source and the wheel, creating annoying shadows over my work. (I work mostly at night.) Exciting stuff. I’m happy to report that most of the pieces came out just fine! I had a few that I suspected would be problematic, and they were, but no big surprises (except the test tile of gold glaze that was more baby poop than gold). So I walked around all morning with a goofy grin on my face. And then I started to get very, very nervous about submitting my application for this sale. Short of a few Etsy sales, I have never done anything like this, and putting my work (myself) out there is nerve-wracking. But I did it. The application is in. 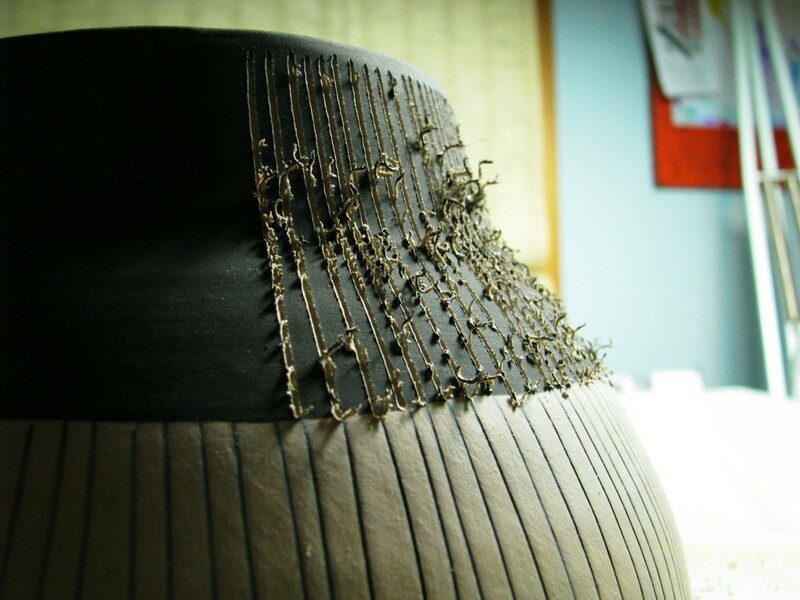 I picked a pot for the guild to photograph for the poster (above). I chose one that was graphic and colorful, because that seemed right for a poster. Now Mr. Tiki and I have a lot of pots to make. Remember the giant pile of gravel? Well, it’s gone! Finally! 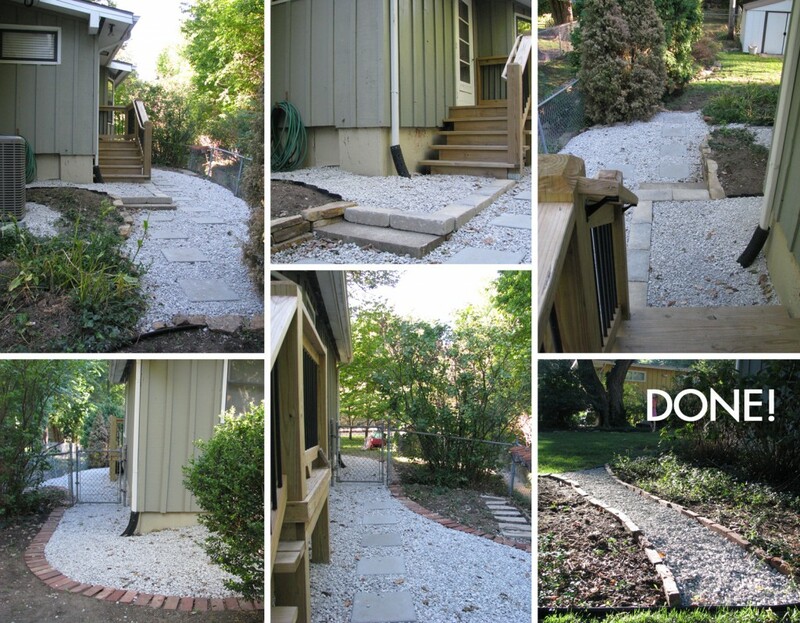 I worked all spring and summer on this side-yard project, with next to no budget. 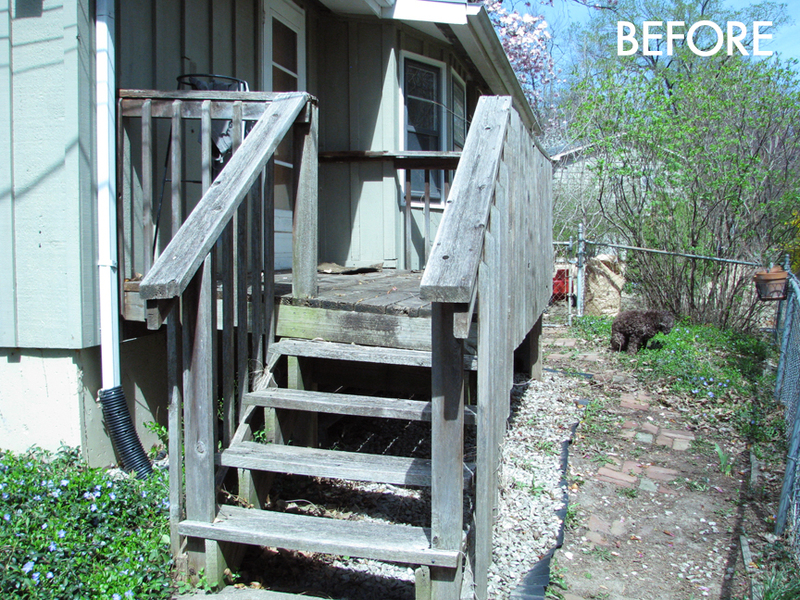 Besides the deck, everything was done with our own hands. And backs. And a broken pinky (wheel barrow incident). The bricks were all reused. 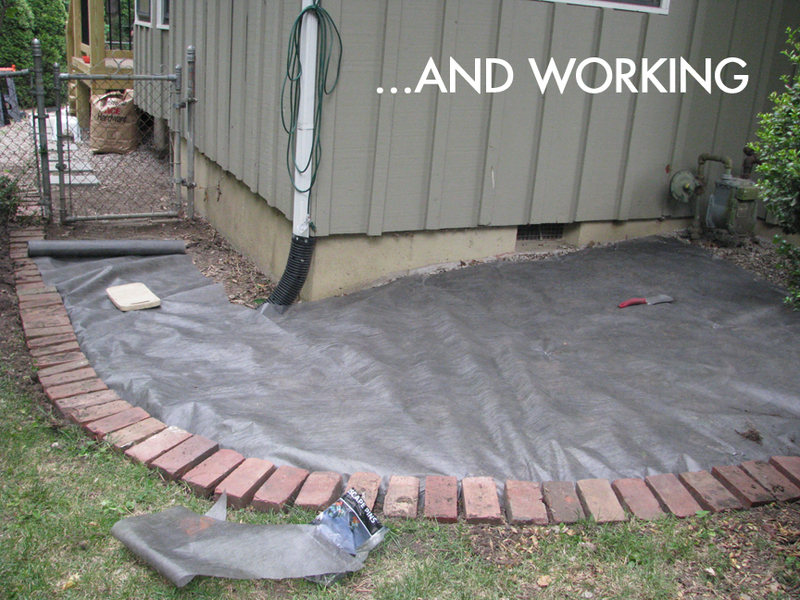 The materials we purchased were the most inexpensive out there: chat gravel and cement paving stones. Now we have a safe pathway that doesn’t look like an abandoned alley. Let’s take a walk down memory lane. 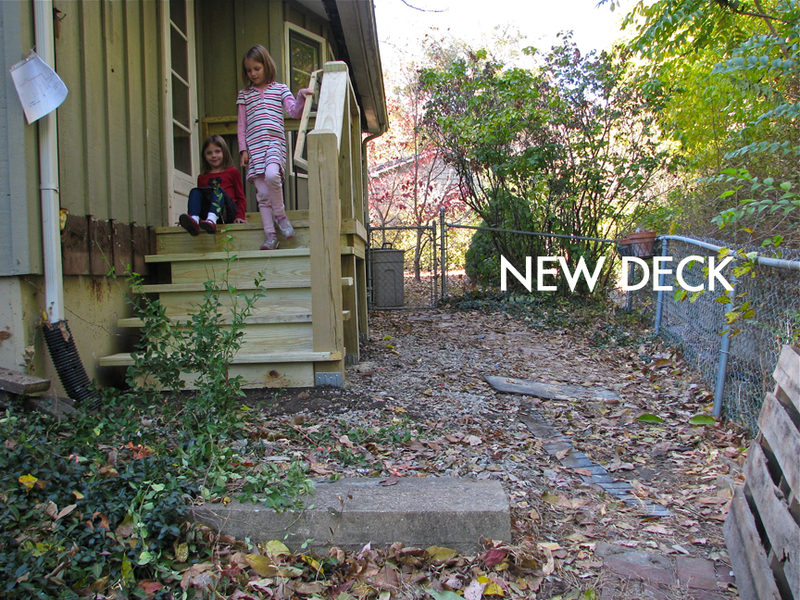 Here is the side yard last year with its rotted deck. It was so ugly over there, the dog felt no shame about taking a dump right in the frame (somehow I did not notice this until now). Then we had a new deck put in, which immediately made everything around it look worse. We had a cement step at the bottom of our old deck. I wanted to use it, partly because we needed some terracing, partly because there was no way that thing was moving more than a few feet. But it needed to be moved to the side a bit, or it was just sitting in the middle of the pathway, potentially leading the less graceful of us to injury. I somehow managed to move it myself with a shovel and a tarp. And my super woman muscles. 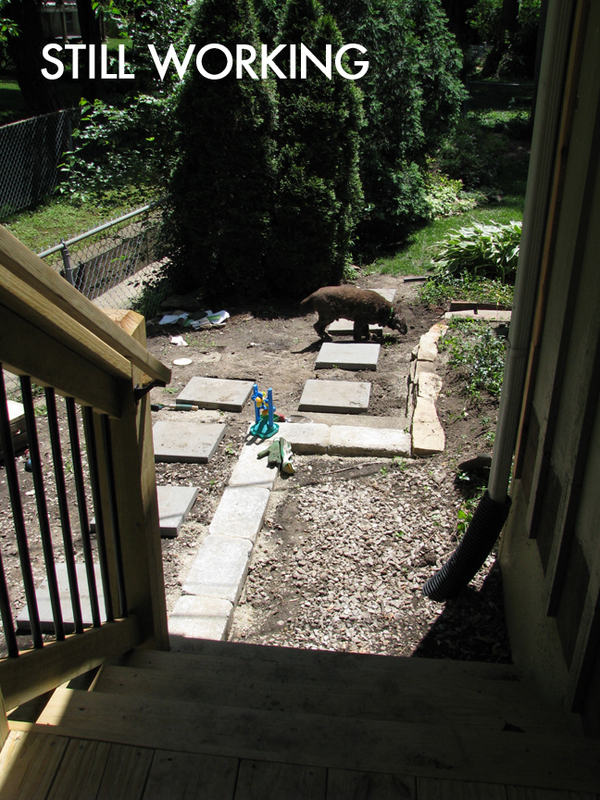 This area turned into a playground for the summer — lots of digging and dirt play. The girls are mad I covered it up with gravel. I’ll add some mulch and plants to the empty beds in the spring. 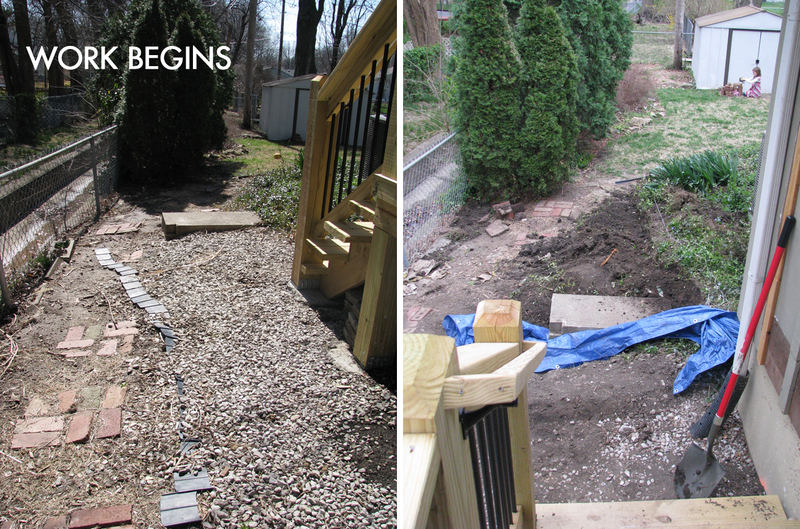 We also added a path through a different bed in the back (the kids had already trampled one anyway). I’m so glad this is finished. That was a lot of work! 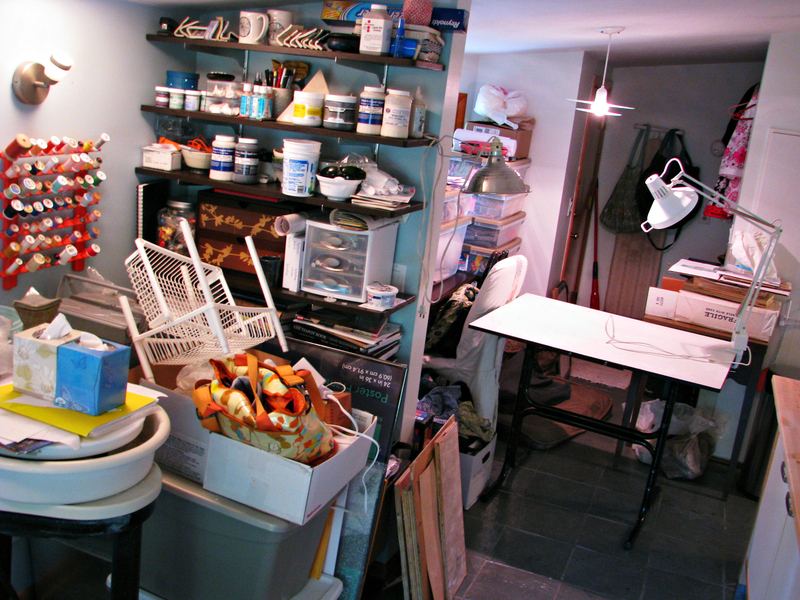 I always know it’s time to run the kiln when I run out of horizontal surfaces in my studio (and I still can’t get used to the word “studio,” but “office” just doesn’t seem like the right word here, even though that’s what we call it here at home). I still need to reorganize my space so I have more shelving dedicated to pottery, but for now, my work dries on my work surfaces, and I work until I am dealing with only about a square foot of work space. 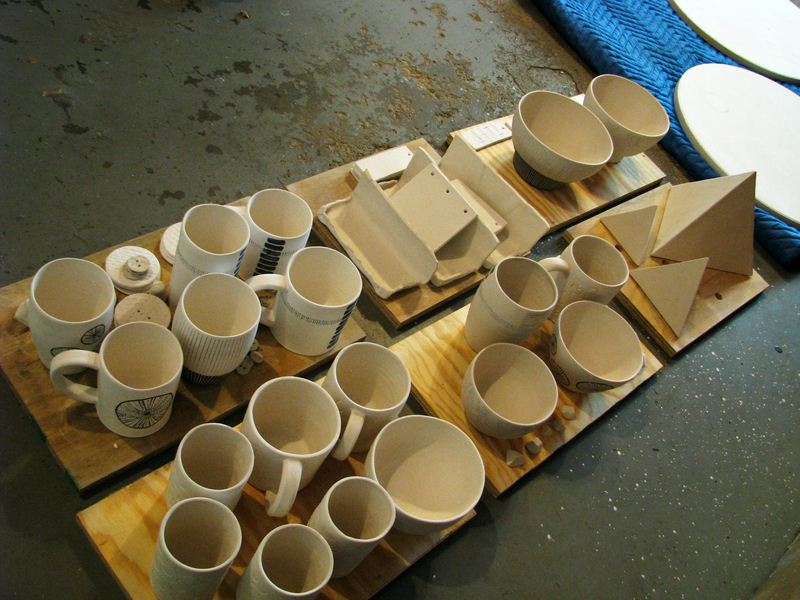 Tonight I’m bisque-firing cups, mugs, bowls, buttons, test tiles, props for the test tiles, and models for drop molds and sprig molds. I’m very nervous about this firing and the glaze firing. I really want some functional, non-crazing work to come out of this load. One of my goals for the year is to participate in the Kansas City Clay Guild’s annual holiday sale. 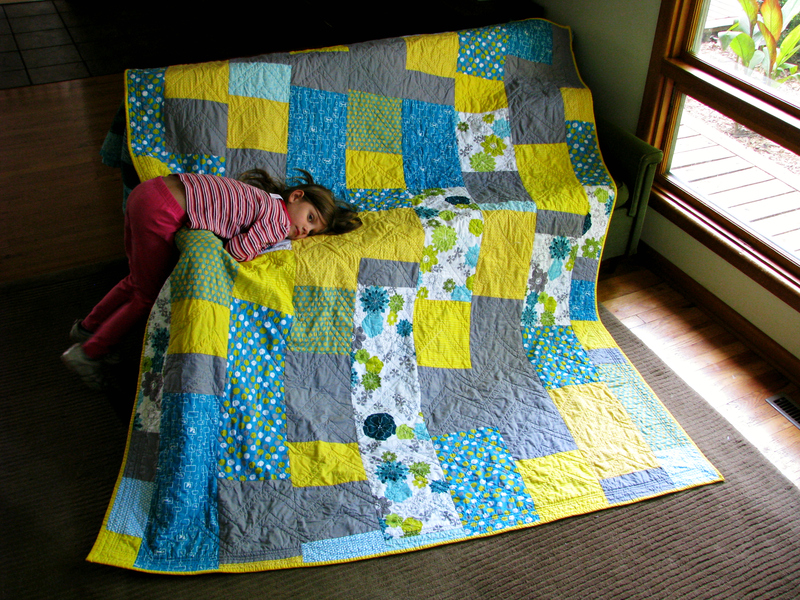 If I want to do this, I need to send in a sample for photographing ASAP. But all of my samples have crazing, and that bothers me. So my fingers are crossed for this load. 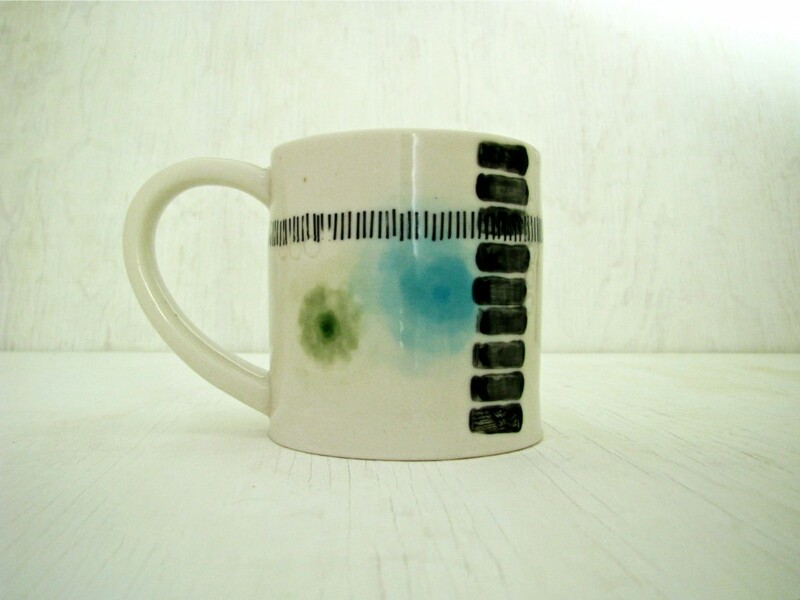 Maybe I need to make some sort of sacrifice over the kiln. 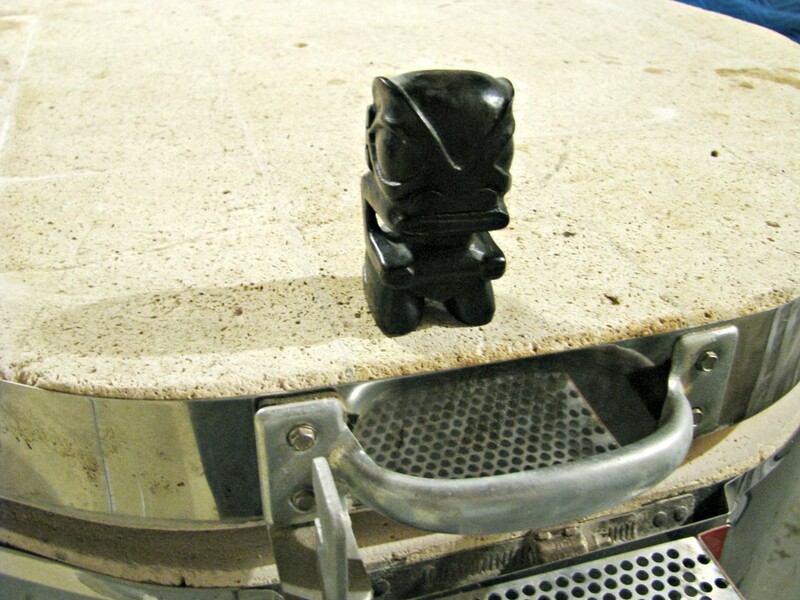 Or at the very least stick my little tiki in the garage to protect the kiln from bad glaze monsters.